The Finnish Utopian Emigration Site honors in 2018 the Drummond Island utopian settlement (1905-1930s) that was at the Lake Huron. Drummond was the only Finnish utopian community founded by a woman. 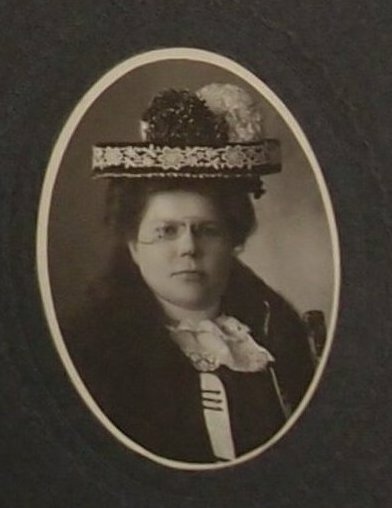 Maggie J. Walz was born in 1861 as Johanna Niiranen in Finnish Lapland. She was religious, suffragette, temperance fighter, journalist, businesswoman, and philanthropist who fulfilled the American Dream in her time. Operating from Calumet, MI Walz started in 1905 the utopian settlement, based for cooperative industries and homesteads, and following religious and temperance ideas. By 1913, however, socialist miners from Copper Island took power. Maggi Walz had to return to Calumet where she later lost her fortune and died poor in 1927. As best Drummond had about 200 members. Due to local and global economic difficulties utopianism gradually dissolved and life continued on individual bases. On Drummond Island the Finnish heritage is kept by a museum, the Finnish cemetery and street signs with Finnish names.
" Utopia , an ideal commonwealth whose inhabitants exist under seemingly perfect conditions."